There’s nothing quite like a good walk. Lacing up your hiking boots and heading into the great outdoors offers a refreshing dose of fresh air, thought-clearing exercise and an unrivalled sense of freedom. 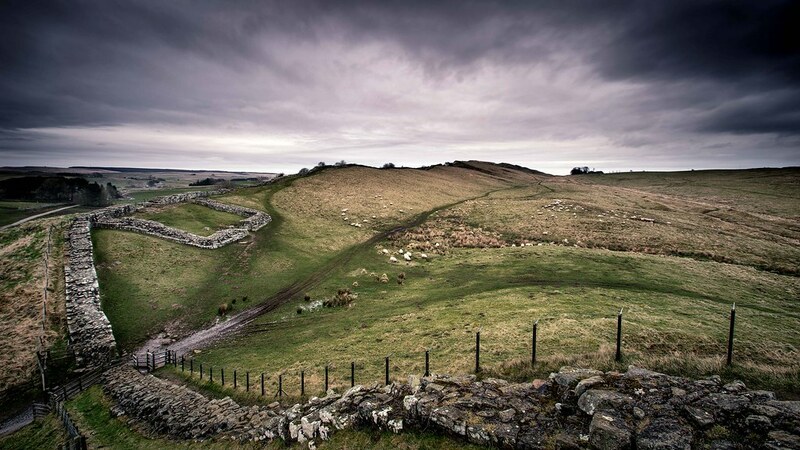 Spanning 73 miles in northern England, this enormous wall is one of Britain’s most spectacular ancient monuments. Named after the Roman emperor who ordered it built (between AD 122 and 128), its original purpose was to separate the Romans from the “barbarian” Scottish Picts. Today it is a UNESCO World Heritage site, with an 84-mile path running alongside it, dotted with ancient settlements and forts, and fascinating museums. One of the best sections to walk is the 20-mile stretch between Chollerford (near Hexham station) to Birdoswald Fort (east of Carlisle). This is the highest section of the Wall, offering magnificent views of the Lake District and Pennines, and can be done over a weekend. Don’t miss the interactive History of the Wall exhibition at the Roman Army Museum at Carvoran. The South West Coast Path twists and turns its way for 630 miles along spectacular coastline, from Minehead in Somerset to Poole Harbour in Dorset. The path gets busy in summer, but you can still find hidden coves to stop for a refreshing dip. Cornwall is home to plenty of secluded beaches, where you’ll have the sea all to yourself even in peak season. Walk four miles around the rugged tip of The Lizard, the mainland’s most southerly point, and continue to the turquoise water and pale sand of Housel Bay, which is quieter than most beaches even in summer. 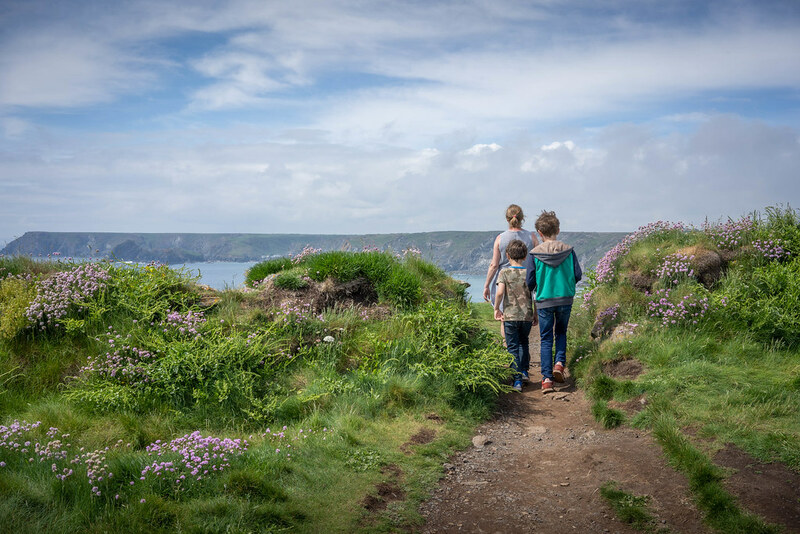 The walk offers magnificent sea views, and the chance to see everything from wildflowers to dolphins playing in the water below. The bizarre but beautiful rock formations of the Quiraing, a landslip in the wild terrain of northern Skye, make it popular with everyone from geologists to photographers. But the best way to appreciate its convoluted landscape is to hike it. Handily, there’s a great four-mile loop that involves a fair bit of climbing, but with views that make the effort worthwhile. 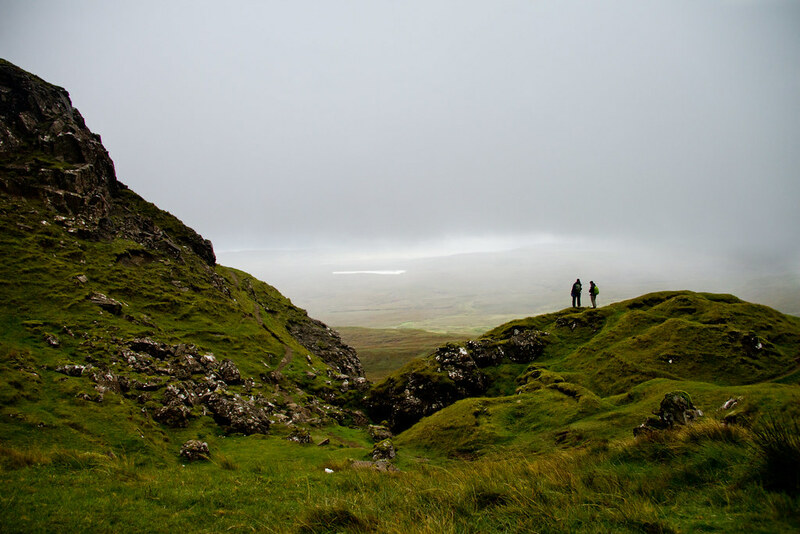 The trail starts at either of the villages of Staffin or Uig, and takes in startling vistas of the islands of Raasay and Rona, and allows you to look down on people below from the top of a cliff. Afterwards, refuel with Scottish chowder and homemade treacle bread at Staffin’s Columba Centre. 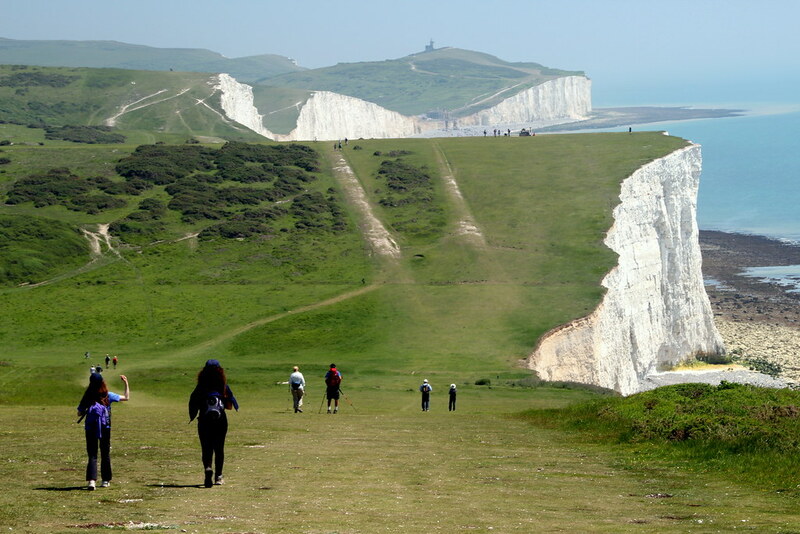 With wildlife, white cliffs and watering holes along the way, the 100-mile South Downs Way is a quintessentially British walk. The route begins in Winchester, the first capital of England, and traverses pretty countryside until you reach the rippling chalk cliffs at Eastbourne. It takes around eight days to hike the entire easy-to-follow route, which is best done from west to east, or it can be split into short sections. Highlights along the way include the Seven Sisters Country Park, the Amberley Working Museum and Devil’s Dyke. It is also dotted with some great pubs, such as the Bull at Ditchling, which is a good spot to rest weary feet. There’s usually a crowd of walkers leaving Wasdale, in the western part of the Lake District, heading for the shortest route to the highest peak in England – Scafell Pike. But there’s a lesser-known way to reach the 977 metre-high summit. If you don’t want to follow a line of other people, start from the more scenic and less crowded north side, beginning in Seathwaite (or Borrowdale for a longer hike). 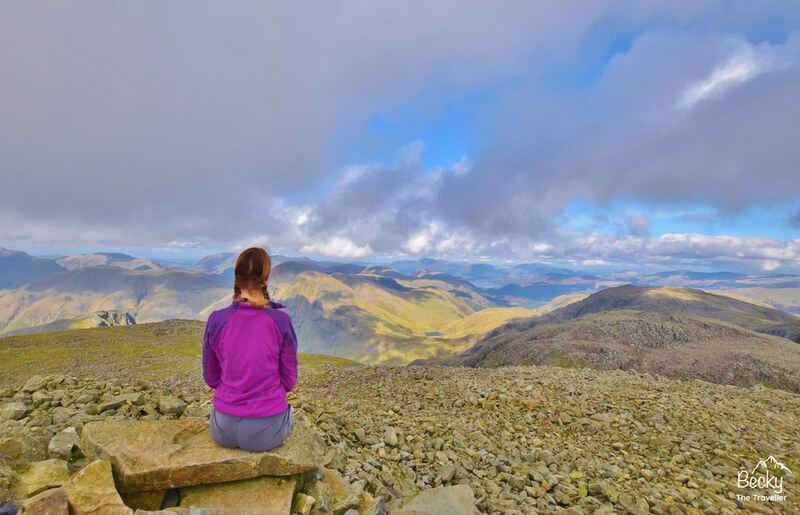 Known as the “Corridor Route”, this nine-mile trail winds through the valley beneath rocky walls and crossing ravines before you reach Scafell Pike’s summit boulder field, where you’ll be standing at the top of England. Starting and ending at the little footbridge at Beddgelert, this circular walk, which is just shy of six miles, takes in some of Snowdonia’s most stunning scenery, from the placid waters of Llyn Dinas to the spectacular Aberglaslyn Gorge with the turbulent Glaslyn River raging alongside the path. You’ll pass the rusting pulley systems of the old copper mine working of Sygun and Cwm Bychan, and will get a broad view of Yr Aran, Lliwedd, Siabod and Snowdon as you descend to the placid waters of Llyn Dinas. Back in Beddgelert, celebrate your completed walk with a pint of real ale at the Tanronnen Inn. 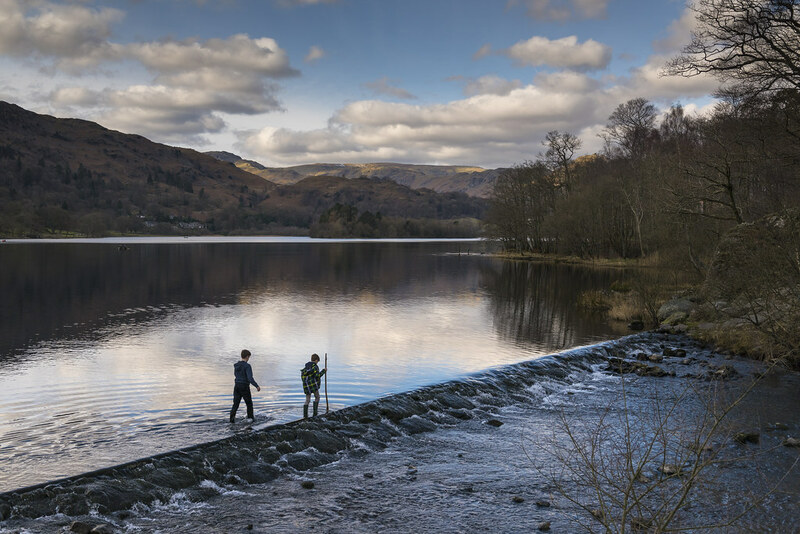 This 192-mile walking route – which runs from one coast of England to the other – was devised by British fellwalker and guidebook writer Alfred Wainwright in 1973. The trail picks its way from St Bees Head on the Irish Sea to Robin Hood’s Bay on the North Sea, crossing the Lake District, the Yorkshire Dales and the North York Moors en route. As well as the bonus of getting three national parks in one walking route, you also watch the geology change as you walk, switching from red sandstone at St Bees to green slate at Honister. Other highlights include the pretty Lakeland village of Grasmere with its Wordsworth Museum and the 12th century Shap Abbey. There’s a reason this is one of the UK’s most popular walking routes – its beauty is off the scale. Running from Milngavie, north of Glasgow, to Fort William in the Scottish Highlands, the whole route is a momentous 96 miles and takes in the country’s biggest loch (Lomond) and grandest moor (Rannoch). Most walkers take around a week to walk it, though you can do it in shorter sections, too. One of the toughest – but most rewarding – sections is from Kingshouse to Fort William, 22 miles culminating in long slog towards Ben Nevis, dominating the skyline in front of you. 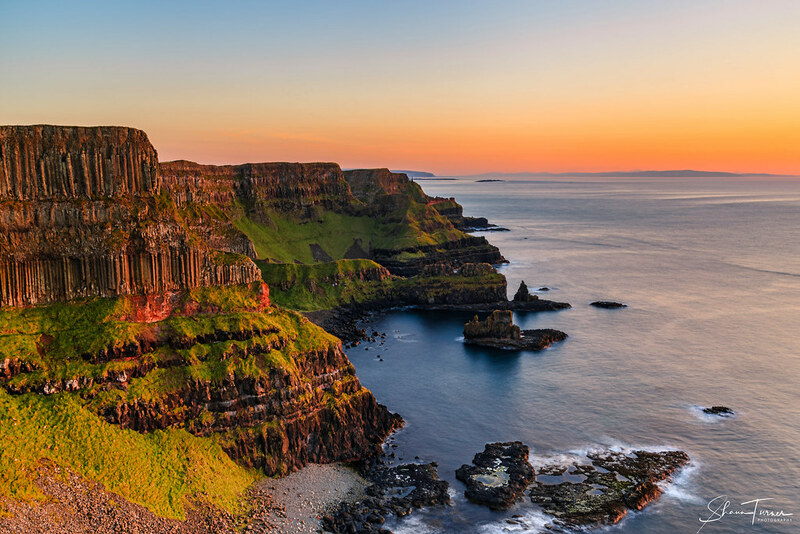 This dramatic, sea-sprayed walk has some of the finest cliff scenery in Europe – including sweeping vistas of the Giant’s Causeway with its ancient basalt columns, said to be the remains of a causeway built by a mythical Irish giant. The 33-mile trail from Portstewart to Ballycastle runs through the seaside towns of Coleraine, Portstewart and Portrush, and passes the famous Irish whiskey distillery at Bushmills – perfect for a pitstop. The terrain ranges from grassy cliff edge paths to causeway stone, mottled with lichens, plus some stiles. The Yorkshire Dales are home to some of the best walking in the UK, and ticking off the area’s three highest mountains is a great achievement that can be done in just one day. 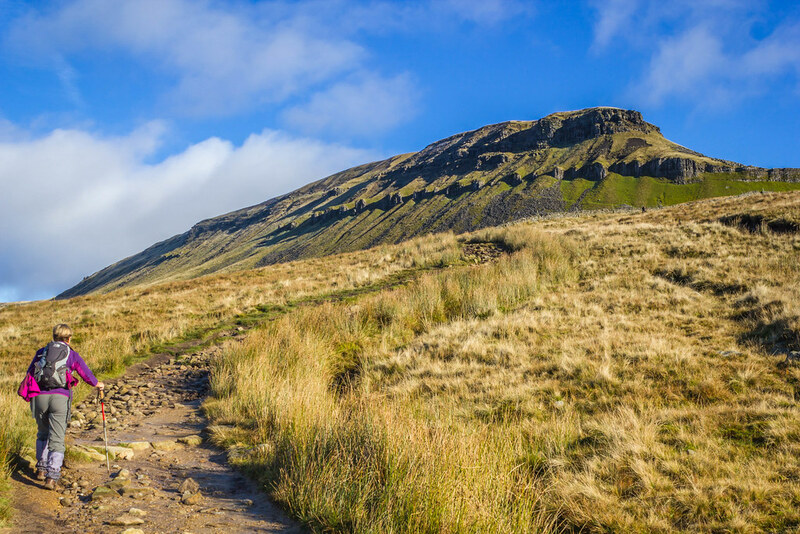 The Yorkshire Three Peaks Challenge is no mean feat – it involves hiking a 24-mile loop with more than 1,600m of climbing as you go up and over Pen-y-Ghent, Whernside and Ingleborough in under 12 hours. There are spectacular views from all three hills, and fascinating geology, too, such as Pen-y-Ghent’s two distinct sills – the lower is limestone, the upper gritstone. If you’re keen for a challenge but are time poor, this is the walk for you. Got itchy feet? Why not take a gander at our entire collection of UK adventures, or a nosey at all of our wild hikes, with hand-picked hosts and guides.